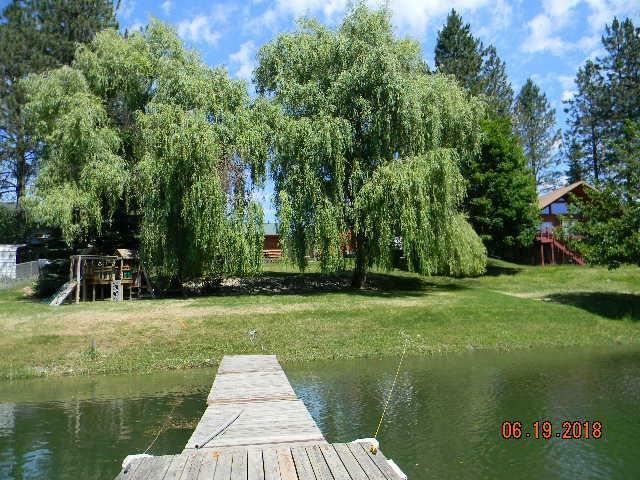 Enjoy the lazy days of summer on this picture postcard riverfront lot. Weeping willows shade the yard that has grass to the waters edge. 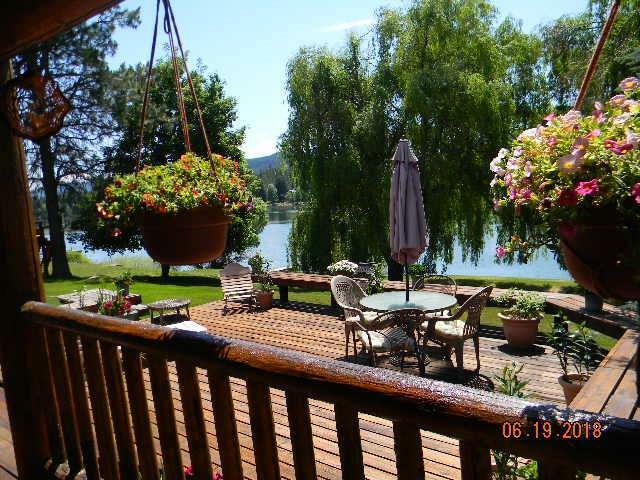 The welcoming deck that overlooks the river is the place to be. 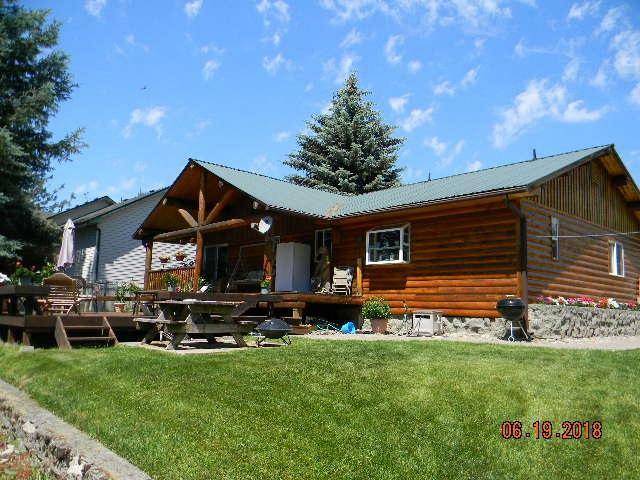 The home has been updated with split log siding & offers views from both sides of the home. The interior has been updated with vinyl windows, laminate flooring, new counters & cabinets, eating bar & built in china cabinet. 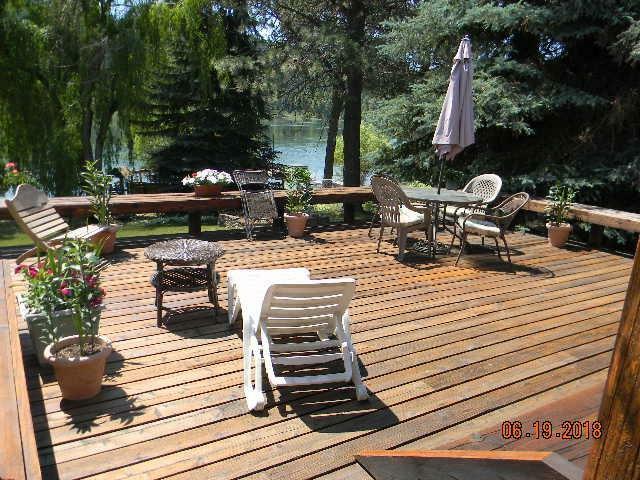 Spacious master bedroom, cozy pellet stove & sliders to the deck. New garage too.